Scores of students would single out going to theatres and everyday classes with all their necessities put collectively in a single bag. 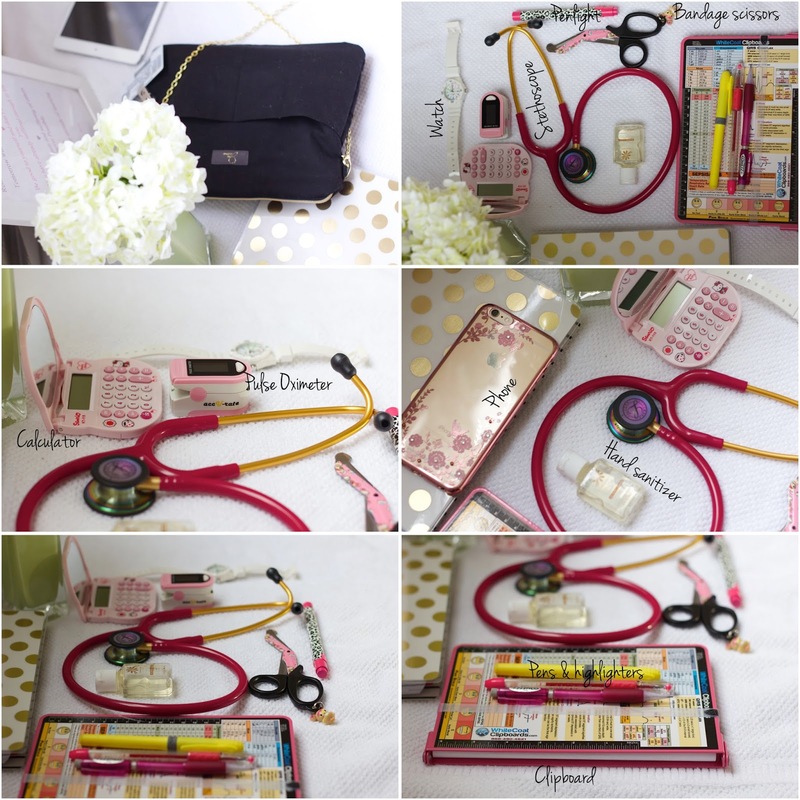 A clinical bag is a kind which nursing students use in their clinical rotations. Assorted factors need to be considered before purchasing a clinical bag. A better-quality bag is needed at this stage as rivalled to the one used in high schools for the reason that many Items are involved at this level. When plumping for the kind of bag to go to, consider the dimensions of the storage compartment and pocket of the instruments you need to carry and the size of the textbook compartment also. My clinical bag contain a variety of items for classwork, clinical work and social life. Notebook, pen, highlighters and a clipboard everyone is entailed to carry these items as learning is normally an unceasing process so you wouldn’t want to miss noting down some keynote points in learning hours. It is not in orderliness to always be the one scrounging an extra pen from your colleagues, so make sure you carry a couple of them. A working stethoscope is an elemental item in this bag. How else can one pin point a medical student just by the first impression? A stethoscope will always be every nurse’s must-have since all the handiwork requires one to access this item. Always choose the color that goes well for you. We all drum up support for good health to our people, this calls for the presence of Hand sanitizers in a clinical bag. Microbes can easily attack you for the simple reason of lacking sanitizing fluids. Couple this up with a pair of gloves since you wouldn’t want to hold most things with bear hands. A Sphygmomanometer, which aids in the measuring of blood pressure is a good carry on for every nurse. This will be of good help in case of any disquieting situation. My lip balm and unscented lotion helps uphold my body form in good state of breeziness. Some patients can acquire allergies from various colognes and may also react with hospital gloves hence I prefer having the fragrance-free one. A water proof watch will at all times have a pocket in my clinical bag. We all are duty-bound to be good stewards of time, hence getting a waterproof watch can work this out well. Pulse oximeter and a calculator. This one makes me have the feeling of a real lady who can save a patient’s life. Bandage and bandage scissors. When tying up a patient, it is also fascinating to prune the bandage off with a good scissor. This will show how organized you really are as contrasted to one who chops off the bandage manually. Each school is like chalk and cheese as some will provide you with a multiplicity of the equipment while other will expect you to get them by your own, whichever way, a virtuous nurse should ensure they get these Bits and pieces in their clinical bag. Where did you get your bag? I have to get some new scissors myself. The ones I use now have this film on them from my friend using them to cut some kind of odd crafting tape. She didn't know they were my medical ones. I cleaned them off as good as I can but it is still there. Can you recommend a good, cute pair I can get?